Sponsored by Michaels Stores. 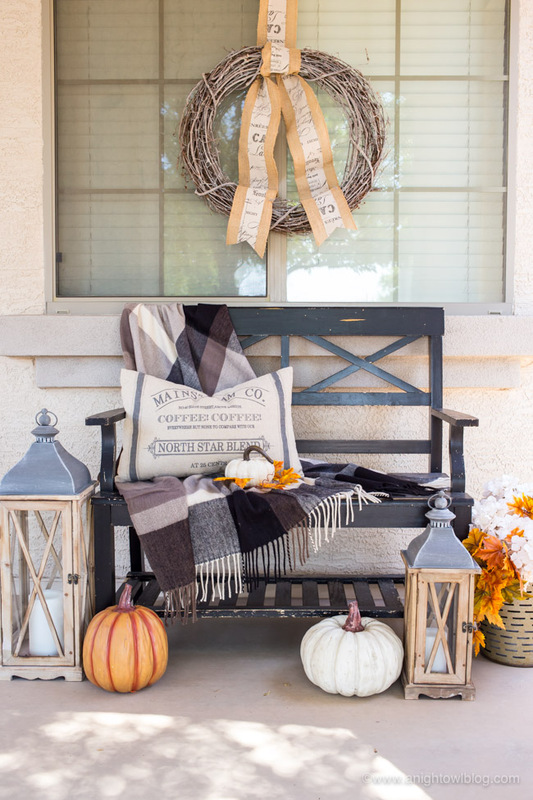 This year, create a Fall Farmhouse Porch with warm and cozy design elements, full of charm and character. Hi friends! It’s that time of year! 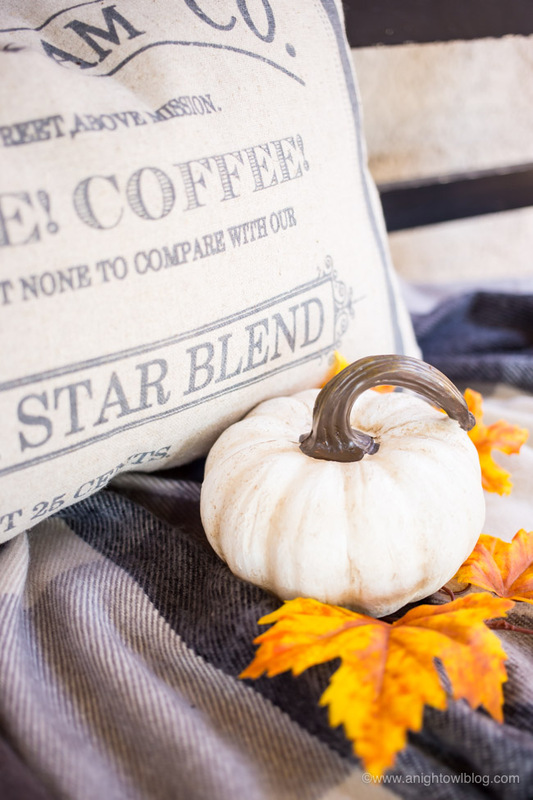 Time when we put away the summer decor and break out the pumpkins and all that rustic decor that we love for the fall! 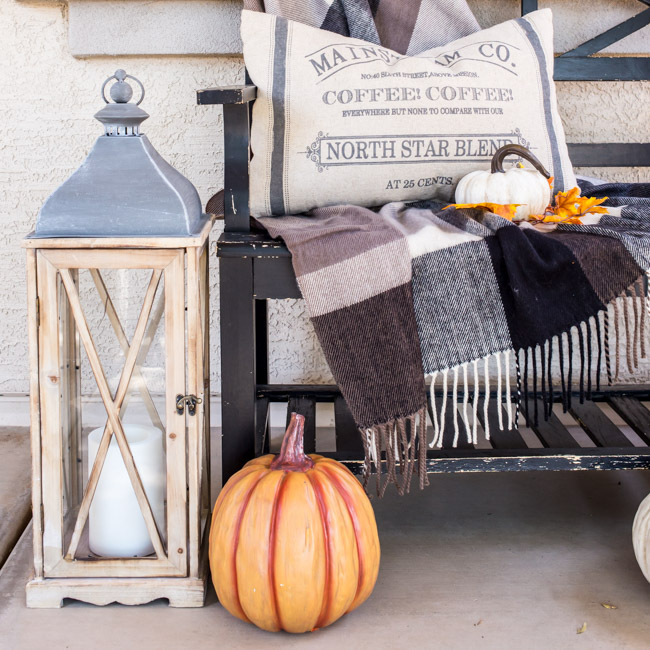 I love this time of year when the smells turn to apples and pumpkin spice, where we can break out the flannel and all things autumn. 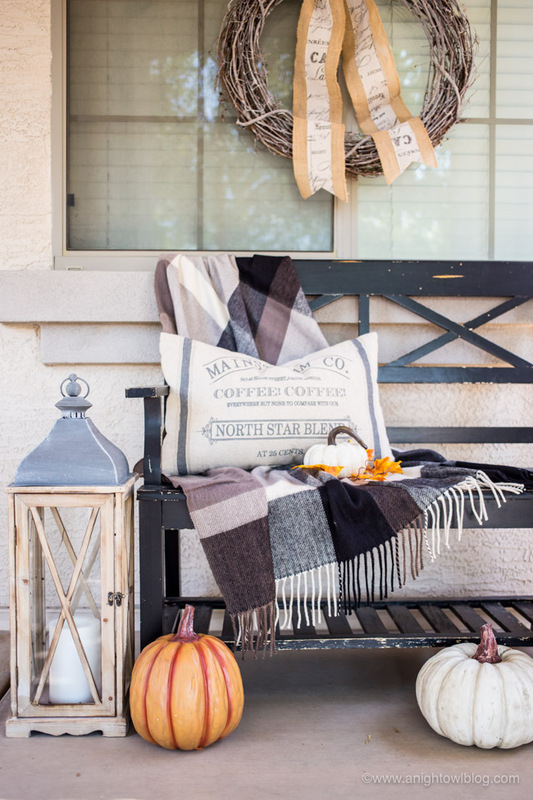 So today I’m going to show you how we updated our Fall Porch Decor to create this festive and Fall Farmhouse Porch. 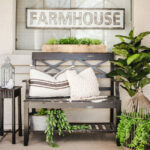 If you’re wondering where to buy farmhouse decor, I found all of this at my local Michaels Store! 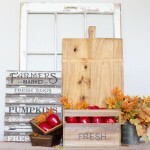 That’s right, get your home farmhouse fresh for fall with Michaels new General Store Collection! 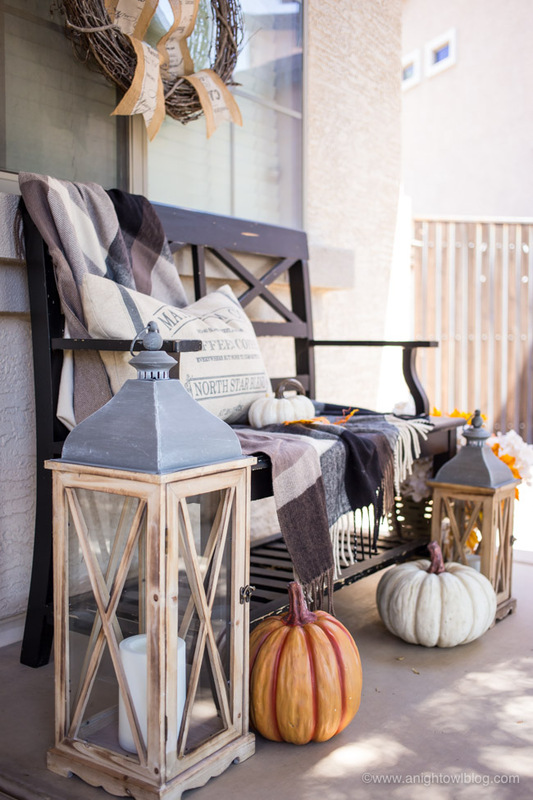 Create an easy update with glassware, aged metal pieces, classic enamel, and weathered finishes for a look you’ll love. 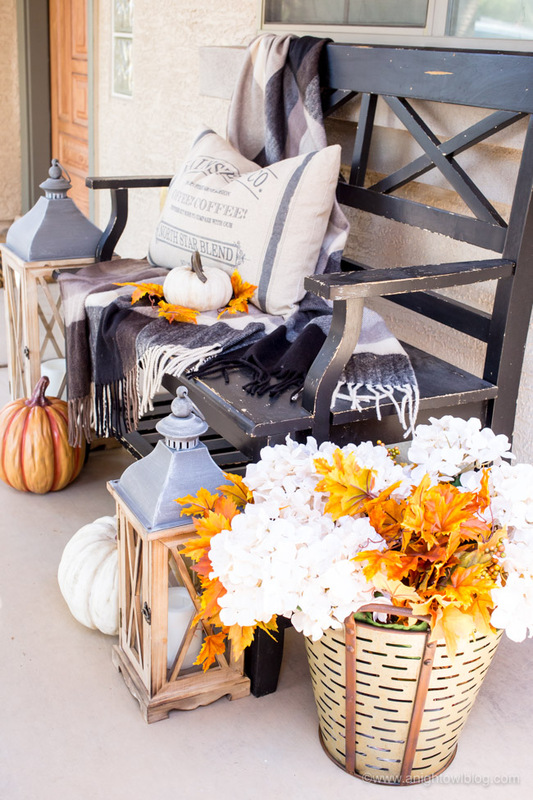 For our fall porch decor we used items from Michaels General Store Collection, pillows, blankets, lanterns and fall florals to create our Fall Farmhouse Porch. 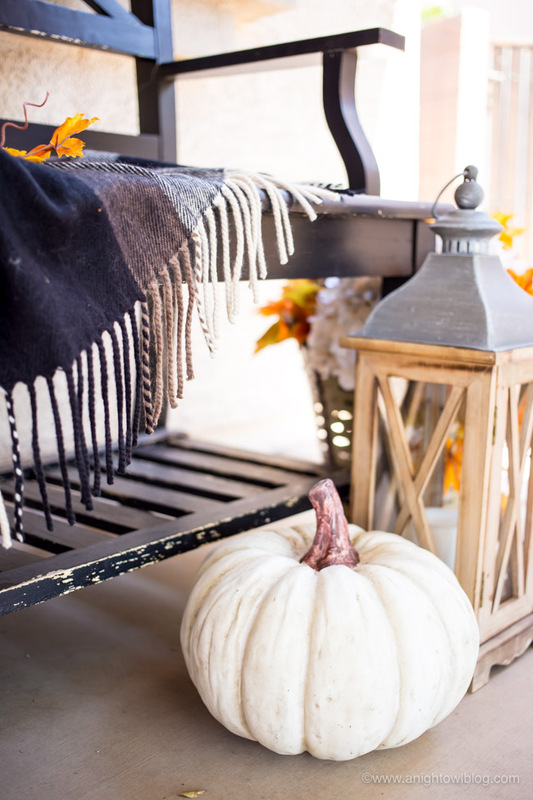 We had the black bench already, so I draped a soft, flannel blanket on one side. 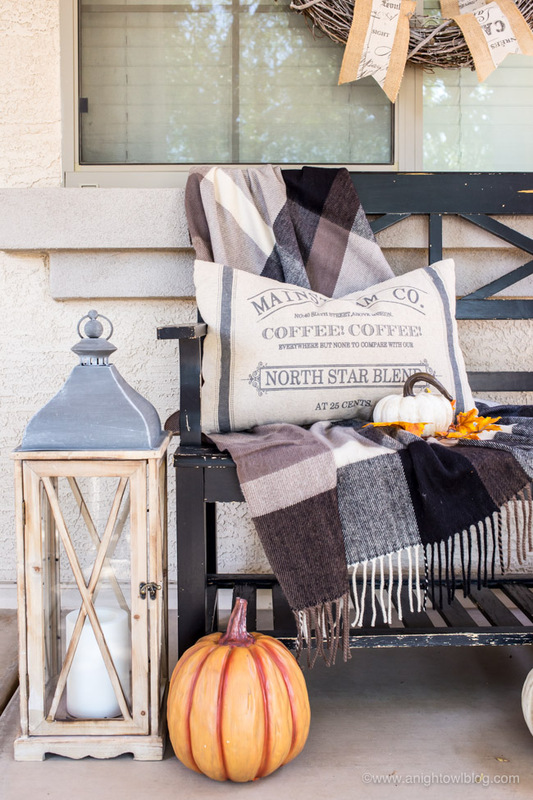 Then I added the cutest pillow from the General Store collection. 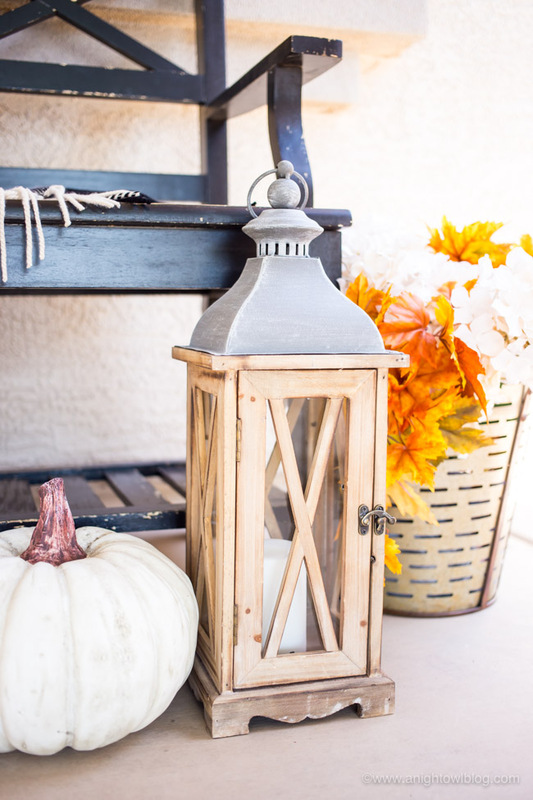 I flanked the bench with gorgeous rustic wood lanterns with outdoor LED candles from Michaels too! 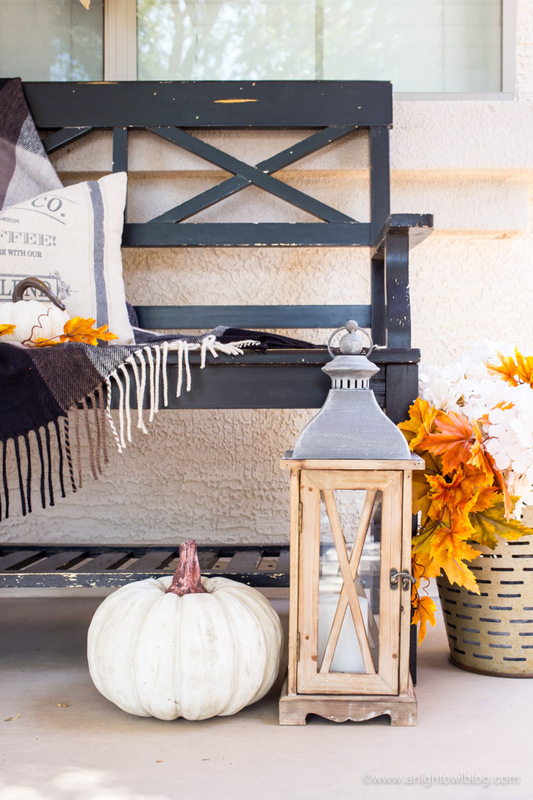 To the side I filled an olive bucket with Michaels fall floral stems and added a few rustic-worn pumpkins. 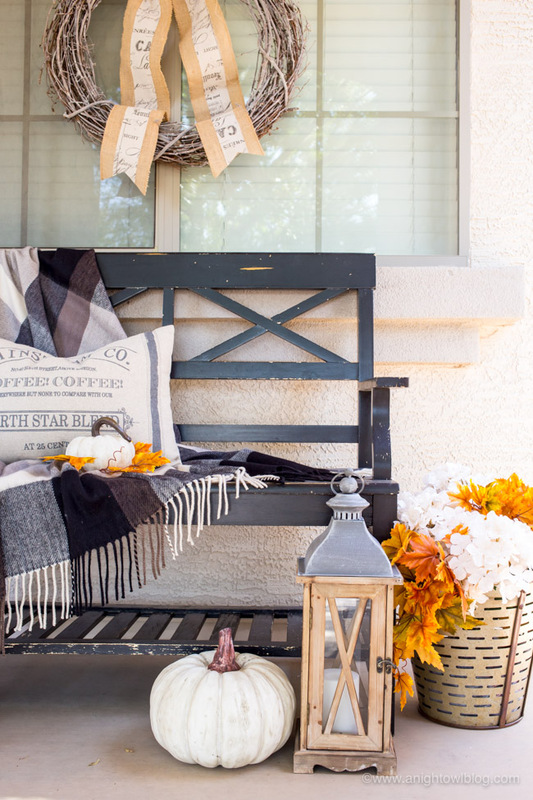 Now our porch is all ready for Fall! I love how easily I was able to find a theme and get what I needed from my local Michaels stores. It only took minutes to get everything set up and looking cozy! 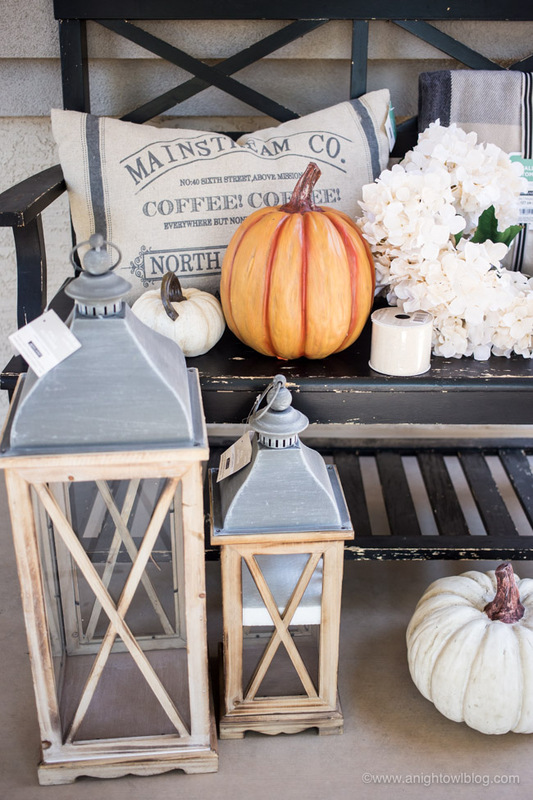 So if you’re ready to get your home farmhouse fresh for fall, stop by Michaels and shop the General Store Collection! 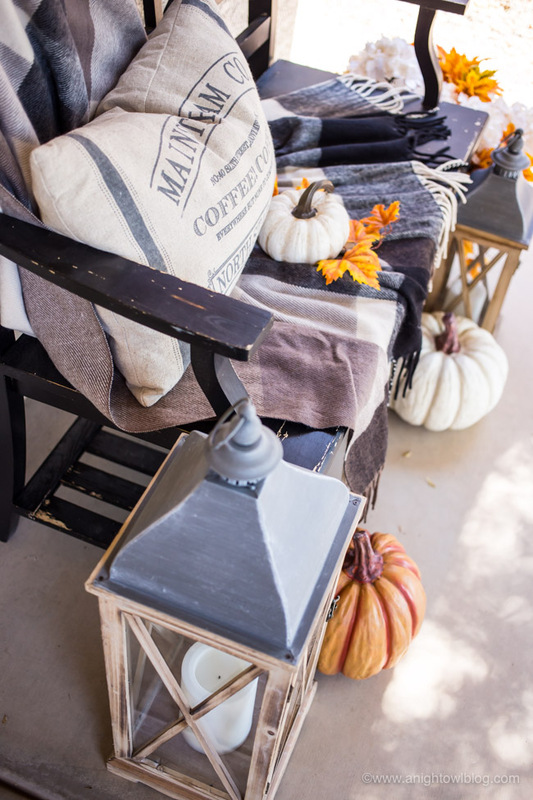 You’ll have your Fall Farmhouse Porch ready in no time. 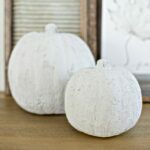 I’m a big fan of the white pumpkins this year, and the more muted tones. At least on the front porch. Yours is beautiful! So fun! I love the lanterns! Looks great! Where did you purchase the blanket? I love it! Thanks! 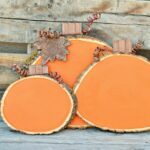 It’s from Michaels as well!